Glenn Thompson, a race horse trainer with over 30 years of experience, reveals the darkest secrets behind the scenes of the Sport of Kings. By shining a light on these secrets, he hopes to change the pattern and return decency and honor to horse racing. On Monday, April 30, 2012, a subcommittee of the US House Committee on Energy and Commerce conducted a hearing on health and safety issues for horse and jockey in racing. Among the witnesses was Thoroughbred racehorse trainer, Glenn Thompson, who wrote the book “The Tradition of Cheating at the Sport of Kings“. Founding President of the Int’l Fund for Horses and Tuesday’s Horse editor Vivian Grant Farrell put some questions to Thompson about his controversial book and what it was like to testify. Glenn, your book exposes the amounts and types of drugs, illegal and otherwise, that are administered to racehorses in the Thoroughbred industry. It was a courageous step for someone who works in the Thoroughbred industry to take, and not surprisingly, you have come in for a lot of flack. What prompted you to take this action? Some years ago now, I took Two Notch Road up to Saratoga to race in the With Anticipation Stakes which is a Graded Stake Race for two year olds on the turf. I had been to Saratoga years earlier and had a very special time. The owners came to the barn and we had lunch and somtimes dinner right outside of the barn with the horses. I will always remember how nice it was and thinking, this is how racing should be. Flash forward to 2009 and after telling my wife Lisa how special the track was the whole drive up, we arrived to a little bit of a suprise. They had Two Notch Road along with some of the best two year olds in the country, in a makeshift tent in the back of the track behind a very large chain link fence. There were security guards all over the place and when Lisa and I walked back to the stall to see Two Notch, they came and threw my wife out of the barn. I struggled with the decision to write the book for two years and started to write the day that I had to put down one of my favorite horses, Mixed Up Money. I don’t know why, but I started writing that day. What are you hoping to accomplish for the sport you clearly love? 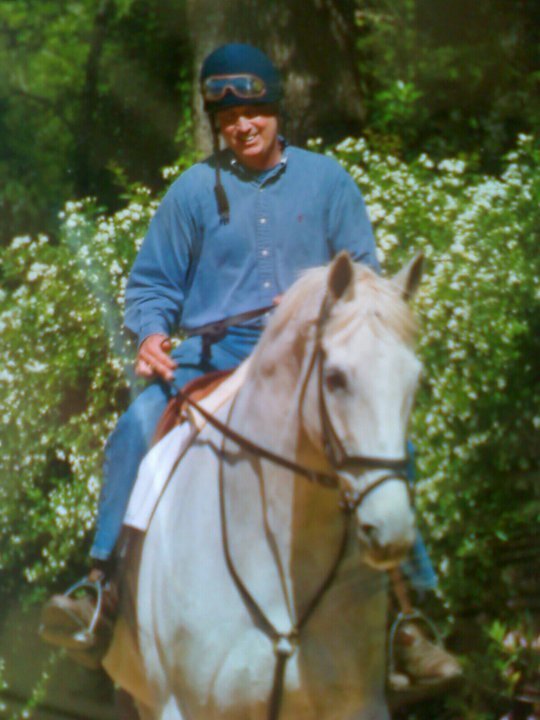 I am hoping to bring back Horsemanship and Sportsmanship to racing. We are relying way to much on drugs to fix our problems with the horses these days. We need to turn back the clock to the days when we used horsemanship to overcome our problems and not the needle. As far as the sportsmanship goes, the cheating has turned into a culture and it has to stop. Our reputation with our fans is deteriorating and the integrity of racing should be one of our utmost concerns. If we accomplish this, racing will also be a lot safer for our horses and that IS the most important thing we can do. How did you feel when you were invited to testify at the Subcommittee Hearing amending the Horse Racing Improvement Act to ban raceday medications? I was honored and humbled to be asked to testify. The people on the panel were some of the who’s who of racing. Gretchen Jackson, Arthur Hancock, George Strawbridge and Gary Stevens and Glenn who? I was very proud to be standing beside these people in an effort to bring desperately needed change to the sport of racing. Why does horse racing need federal intervention, or does it? I said in my testimony that I was not in favor of federal intervention unless some changes were not made in a short amount of time. If the changes are not made, I then urge the government to step in and dismiss the people in charge of integrity and replace them with people that do care about our horses and our sport. All the groups that are in charge of integrity all seem to have their own agendas and cannot sit down and come up with simple solutions to the problems we now face. This is not that difficult. If you put the horse first, everything else falls into place. What testimony stood out to you at the Hearing? I thought most of the testimony was excellent and urge everyone to read all of it. Dr. Kate Papp’s bravery stood out as she is a vet that works at the track and I feel will now be getting some of those same dirty looks that I get from time to time.”Welcome to the Party Kate! !” I felt Mr. [Ken] McPeek was more interested in promoting himself than taking on the task at hand and did not feel he was being totally forthcoming with his testimony. What testimony did you give that you feel was the most important? I feel that the bleeding and lasix issue is the most difficult hurdle that we now have to overcome so I would say that the testimony concerning lasix is very important and we need to try this plan as soon as possible. For several years, the Int’l Fund for Horses have been working to see that a Commissioner is appointed over all of horse racing, as in other major sports such as baseball, basketball, football, and so on. We see that having a central governing body with a Commissioner at its head empowered to enforce rules is the clear way to protect the industry and develop it into a healthy, thriving sport where everyone involved benefits. Because of our goal, Thoroughbred trainer Ken McPeek’s answer to the question “Who’s in charge?” — which was “no one” — really stood out. How do you feel about having a National Horse Racing Commissioner? If they put a piece of legislation out there that put me in charge, that would get the job done. I love horses and I love the sport of racing. I have no other agendas other than a strong desire to help racing! Do you see that changing, the resistance to the idea, or do you think the horse racing industry will have to be coaxed, or even forced, to adopt such a measure? I do hope the government issues some strong warnings to the racing communities so that they do come together and make the changes that need to be made. I love training horses and do not want to give that up, but I will if I have to. The situation at Penn National is bringing this into the light where it can no longer be ignored. Racing will either clean up its act or the honest owners and trainers as well as the fans will walk away. Ultimately if this is the case then it follows that NA horses are inferior and so the reason for drugs. Drugged to death and forced to race on their weak inbred legs only because their so-called “compassionate” owners can’t afford downtime? What a load of crap. $$$$$$$$’s that’s all it is. And we all know where those that don’t make the grade go….the pipeline. How sick is the human that lives with this and condones it? Actually these people pretend they don’t condone it but at the same time relinquish the horse to “their destined place” and forget about it. Oh ya, I did my part and didn’t “personally send them to slaughter” so I am a saint and did the right thing. Disposable, Like the wrapper off the candy bar, the paper and plastic recycle. Dumped like trash, garbage….oh ya, all you people are so righteous and have the welfare of the horse first and foremost in your minds. I don’t think so. You are some of the ugliest people that inhabit this earth. Sorry for the verbal spew but I ask where the accountability in racing is???? I don’t see anything that resembles integrity and compassion. This may also lead to less over-breeding and more healthy TB’s. I hope it will also lead to stopping the running of babies such as two year old’s that simply are not strong enough for the hard pounding that a TB has to go through during a race. I hope that with changes we will stop seeing two year old’s laying on the track with broken bones. I have read and enjoyed the revealing nature of your book and how the racing industry here in North America needs to step up the the plate and make change happen.